Anthony began his career as an executive director of a very successful Sydney based project home building company for 7 years before being admitted as a solicitor in 1979 and joining Pigott Stinson. He served the firm as Managing Partner for many years. He also headed up the firm’s Banking and Finance division for many years. In recent years Anthony has focused his practice in the areas of Commercial Law, Property, Building and Construction, Banking and Finance and Clubs. 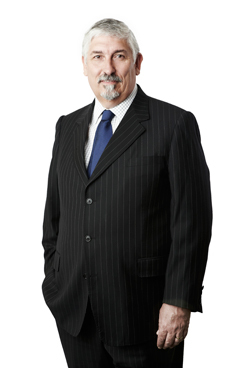 He is currently joint leader of the firm’s Property Law practice group and a member of the Clubs Law practice group. He has extensive experience in advising clients on various types of property, commercial and finance matters including joint ventures, building and subdivision projects, finance, leasing and property and business acquisitions. He now acts on behalf of a broad range of clients in a wide range of matters in these practice areas. Anthony has four grown up children. His interests include family, sculpture, tennis, reading and travel.